Nite Owl is an Oakland, California based artist whose expressive Owls explore colors and geometries and enter into the realm of “flatness.” A prolific artist whose signature owls jump off the canvas and engage the viewer. 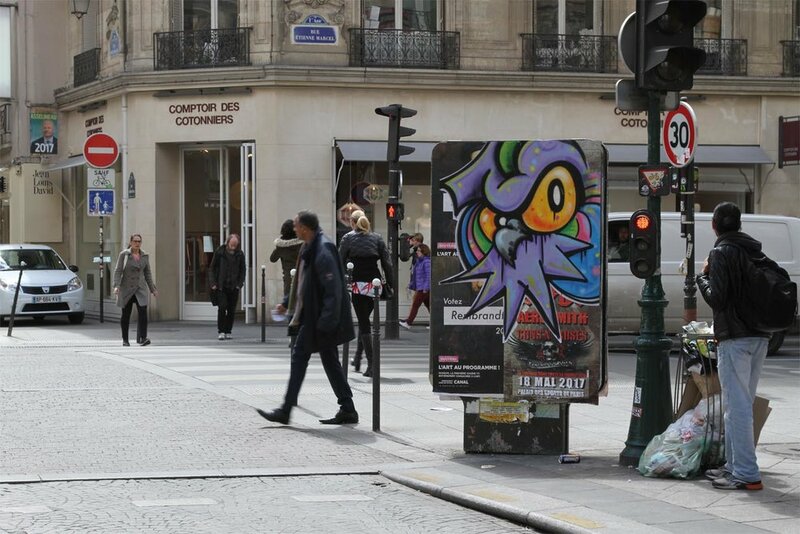 Be it stickers in the streets, colorful canvases in galleries or large murals painted on city walls the owl’s works transfer the artist's energy and intensity to the canvas. Being an avid traveler has helped Nite Owl spread works through 4 continents. While based out of the San Francisco Bay Area, Nite Owl maintains an active presence in New York City and Paris. 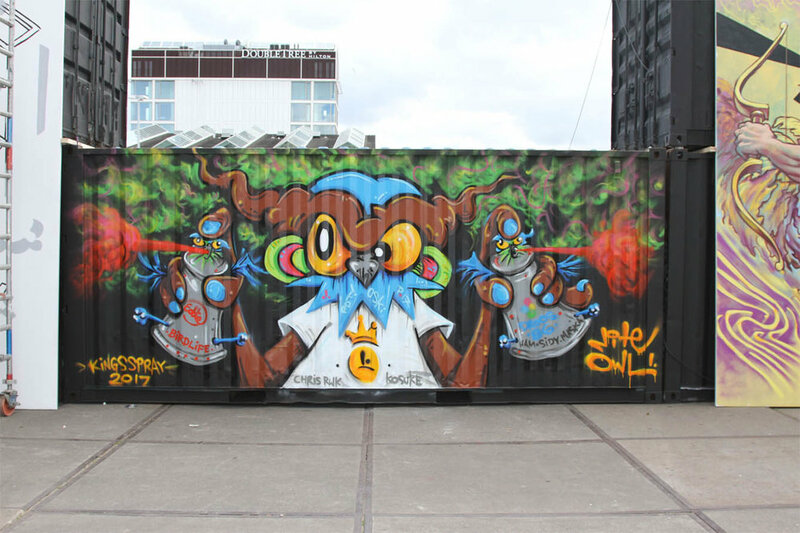 Career highlights have included painting the Berlin Wall, Tokyo, the legendary 5 Points in New York City, Kings Spray in Amsterdam and being showcased at the Meeting of Styles in San Francisco. In a gesture meant to thumb one's nose at social media and to return to painting for the love of it as opposed to collecting likes, Nite Owl co-created the "No Likes Tour", which is a series of non-commissioned artistic maneuvers in long forgotten places and the deserted ghost towns of Nevada and California. Check the hashtag #nolikestour to experience the art.